6mR Merenneito II (the Mermaid) was built at Åbo Båtvarf in 1928. 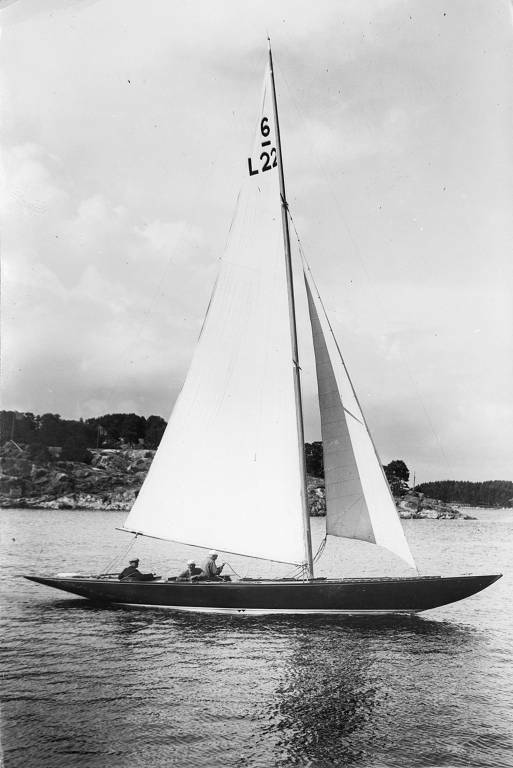 The yacht was commissioned by the businessman and yachtsman, consul Hemming A. Elfving, of Hanko. Mr. Elfving participated keenly in yacht races domestically and overseas. He had sold his previous Merenneito to Canada after attending the 1927 Gold Cup regatta in the United States. Merenneito II was designed by Zaké Westin, famous for his slender, graceful and beautiful craft. Immediately after completion, Elfving entered his yacht in the Gold Cup races, resulting in third and fourth places in a strong international field. As Merenneito II had to withdraw from the third start, she did not get the win required to qualify for the Cup finals. 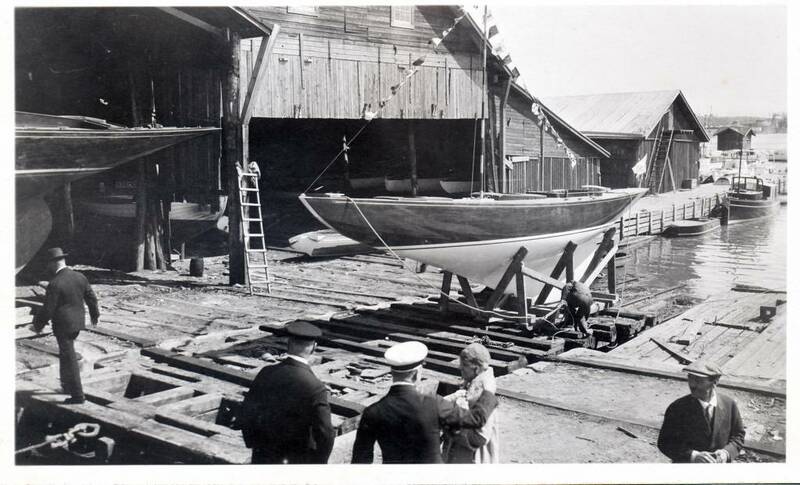 Elfving continued to compete throughout the 1930s, ordering a re-rigging at Åbo båtvarf in the winter of 1937-1938. During WW II Merenneito II was docked on dry land, and in the early 1950s sold onwards to Sweden. There she was fitted in 1967 with a cabin, later fortunately removed. The history of the yacht includes several near-disasters. She was, for example, dropped twice from the hook of a crane into the water. Thankfully, previous owners have appreciated the cultural value of the yacht, returning her to the watery element after necessary repairs. 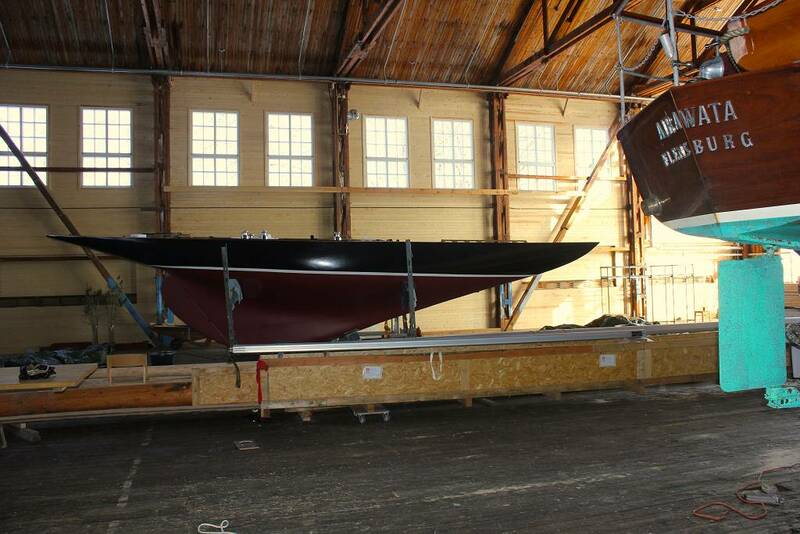 History came full circle when Joakim Håkans, the new owner of the Ruissalo boatyard, purchased Merenneito II in 2016, bringing her back to Finland and her native boatyard. The yacht faced a major renovation in its lifecycle. The deck and most of the frames had to be renewed and simultaneously the hull was extended to its original length. After repairs, Merenneito II in 2018 returned to the waters and racecourses, in better shape than ever, to remind the boatyard visitors of her long and famous history.